Here’s how to download iWork apps Pages, Keynote and Numbers absolutely free from Apple on your old Mac running OS X Yosemite. Head past the jump for complete details. Apple’s iWork suite of apps has been around for quite a while, but has been a paid affair until recently. In fact, if you have bought a Mac after 2013, then you’re entitled to Apple’s productivity suite absolutely free. 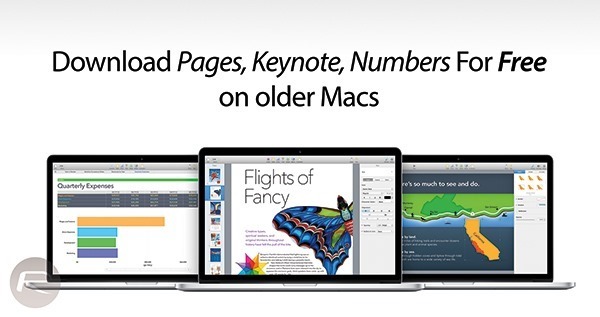 But if you have an older Mac, one bought prior to 2013, then you have to pay for each individual app, which includes Pages, Keynote and Numbers, each costing $19.99. Simply follow our guide below and you’ll have iWork for Mac absolutely free and save $60 straight away. Note: Though the guide has been shaped up for OS X Yosemite, but we found out that even if you’re running Mavericks, you can still get iWork for free using this method. 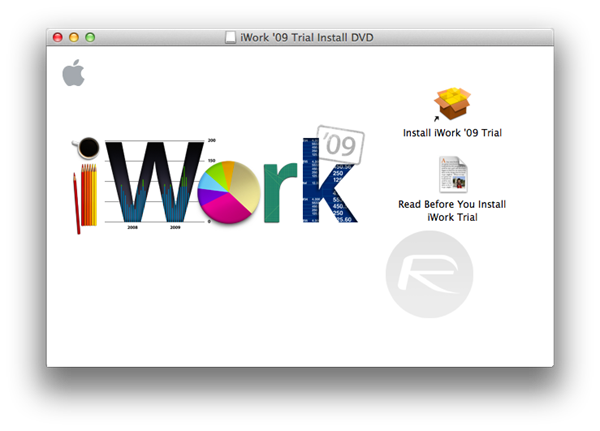 Step 1: To begin, download and install the official iWork ‘09 trial on your Mac from Apple here. 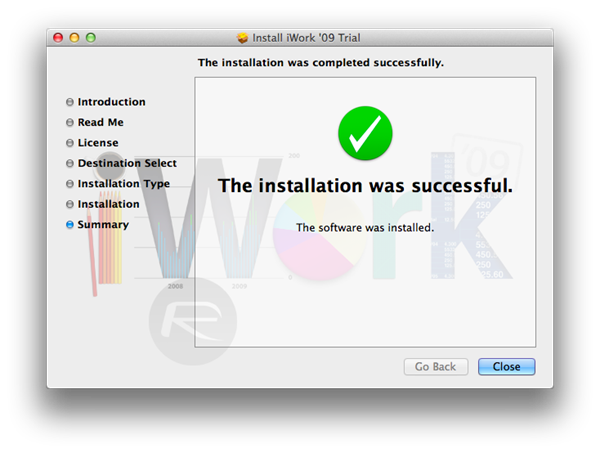 Step 2: Once the iWork ‘09 trial is installed, launch each app individually once and quit them. 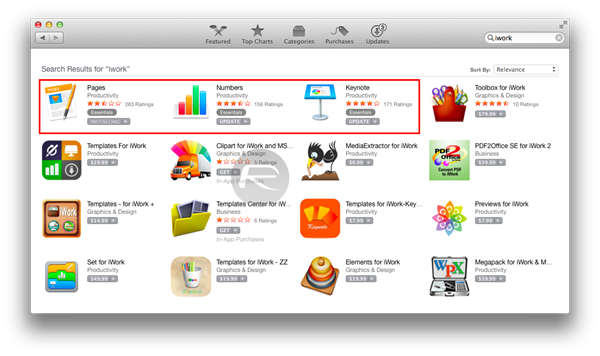 Step 3: Now launch the Mac App Store and navigate to the Updates section, or alternatively just search for ‘iWork’. Step 4: You should now be seeing Pages, Keynote, and Numbers listed as free updates for your Mac. Step 5: Simply install the updates like you would for any other app. Step 6: Once the update process is complete, you’ll notice that the trial apps are no more, and instead have been replaced by the latest version of Pages, Numbers and Keynote, and guess what? They’re full and final copies! But the fun doesn’t end there; click on the Purchases tab in the Mac App Store and you’ll notice that the apps are now associated with your Apple ID and you can download them on any other Mac you might have. As you can see, this is a bug that Apple doesn’t seem to have caught up with yet, and is something that we have witnessed before with iWork and Aperture last year. So if you really wanted that update to iWork, now would be the time, before Apple wakes up and patches up this vulnerability. Did this trick work for you? Why not drop a comment with us and share your thoughts with us on the matter! When I click “update” in the App Store, it doesn’t start to download. Can someone help me, please? anyone made this work for sierra? can not update just loading and loading.. It does happen here too. I tried with registration too but it’s still stuck. I tried this and when I pressed update, nothing actually downloaded, the wheel just kept spinning and spinning? Can anyone help me? It happend to me too, I already did this with Capitan and when I tried to do it again with Sierra didn’t work. And I found them in my Apple Store in the purchased tab. You can only download iWork one time with your Apple ID. I tried the way youtube channels were saying to open close and then check updates, it didn’t work so i stumbled upon a channel that was giving a code to enter, it made the three apps work but i still can’t update, the point is i have deleted re installed and it doesn’t give me the trial page anymore, i think i made a terrible mistake and i can’t get it to work. could anyone offer any potential help? or advice. anyone try it on macOS Sierra? if successful, how did you do it? Works on the latest Sierra Beta. Remember to set the language of your Mac to English! Same problem here on El Capitan. Trying to install on a 2011 iMac with El Capitan. Installed the 09 Trial, opened each program and then closed. Opened the App Store. Searched for Keynote. Instead of “Buy” it said “Update”. Clicked the update button and I get a spinny ball at the top of the app store that never does anything (I’ve waited half an hour or so). Any idea how to get this to work? All I did was install the package. Opened each app and immediately closed out of it without clicking on any options it gives you. So don’t click on the trial or buy buttons, just quit out. Jump over to the App Store and head to updates and they should pop up there. If not, check your “purchases” tab. They should show up there too and give you the option to update them. Hope this helps. It is not working for Sierra. Does anyone has the same problem? This also is not working for me in Sierra on a late 2009 MacBook. They won’t show up in the update list, but I still get the update button when searching for them individually. Clicking the “update” button does nothing, instead I get a spinning loading icon in the corner, but it never does anything. Does anyone have this working on Sierra on an older Mac? same problem with me. It’s doesn’t work with Sierra on a early 2015 Macbook Pro. I have the exact same problem… did you manage to get it? It works with Mac OS Sierra 10.12.2 did everything the guide said and works, thanks Redmondpie, also have MacBook Pro 2011. I can’t make it work on sierra 🙁 it won’t show up in the update list, but I still get the update button when searching for them individually. Clicking the “update” button does nothing, instead I get a spinning loading icon in the corner, but it never does anything. Any help? 3. GO DIRECTLY TO APP STORE. IF IT WORKS FOR YOU PLEASE GIVE ME A THUMBS UP & THANKS FOR THE REDMONDPIE FOR THE IWORK 09 TRAIL!!! This completely worked for Mac OS 10.12.2….I was hunting for an app to make presentations in and my Mac din came with the I works suite preinstalled…but this link and this method worked like a charm, I would recommend it to anyone who bumps across this link. Thanks again, now I look for Garage band. Hi there. Your steps are clear and worked like a charm. I am running OS Sierra 10.12.2. on a 2011 Macbook Air. Followed the steps listed above in the article and also read your tip NOT to open each app. Then went straight to the app store and updates for each of the 3 (keynote, pages, numbers) were already listed. Dear readers, please note that you have to go to system preference -> General to over-ride the apple’s restriction to open the downloaded dmg pack. They only allow you to open apps made by apple or identified developers. I selected “Open Anyway” twice. The 1st time the installation didn’t happen. Anyway it is a nice New Year present – free apps are the best! hahaha. I just updated my MacBook AIr mid 2012 to MAC OS Sierra 12.12.2 , I followed your steps, and it worked perfectly..thanks a lot REDMONDPIE for the tip.! it perfectly works on macos sierra. Is there any chance to have GarageBand and iMovie for free in the same way????? I have tried this on 2 iMacs. One 27″ from 2009 running El Capitan and the other 27″ I bought in July of 2013 running Yosemite. Nothing happens. I get the Update button but it just hangs. Could it be my IP. I’m in Costa Rica? I only need iWork for one client that uses it. Followed the directions carefully. didnt work. Deleted iworks and then redownloading after updating to macOS Sierra (LATEST VERSION 10.12.2) and making sure to NOT OPEN APPS AFTER DOWNLOADING (see other comments)….update/install worked beautifully. I’ve done it on macOS Sierra 10.12.2, and it worked. Thank you so much. Worked like a dream!! Won’t work with Yosemite. I can’t get it to update, the App store just hangs. Any ideas? I have a iMac Early 2008 with ElCapitain and its don’t work. No Updates found in App Store. This works people!!! Hurry before its too late!!! is there a way to do this with garage band as well? actually it might not be that it’s to late but I’m running El Capitan and it didn’t show up after downloading opening and closing. I had to link them to a email account. It worked for me on MacOS Sierra. Thanks! Didn’t work for me on Yosemite 🙁 The app store spinny thing just spins. But thanks anyway for the post. At least I will have it for 30 days and can get a pressing presentation done.